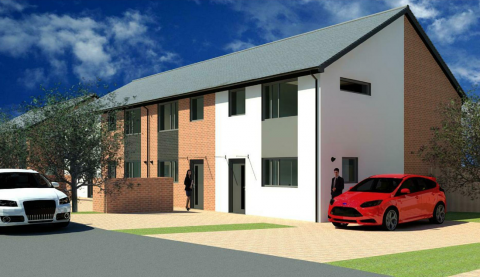 This project delivers 12 affordable homes on a brownfield site formerly occupied by derelict garages and comprises traditionally constructed two storey houses. Challenges have included optimising ‘cut and fill’ on the sloping site, which has provided the opportunity for raised external terraces in the back gardens, and developing third party concept designs to achieve Lifetime Homes standards. 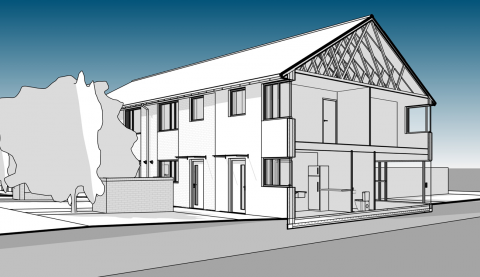 Although a relatively small scheme, AD has nevertheless developed the design as a Revit model to allow the benefits of BIM, including visualisations ranging from cutaway to fully rendered.